December 28, 2015- Venerable Wellington Hall. All closed up and slated for demolition for doubtful High St. revitalization project. A big chunk of campus character and history will go with it. 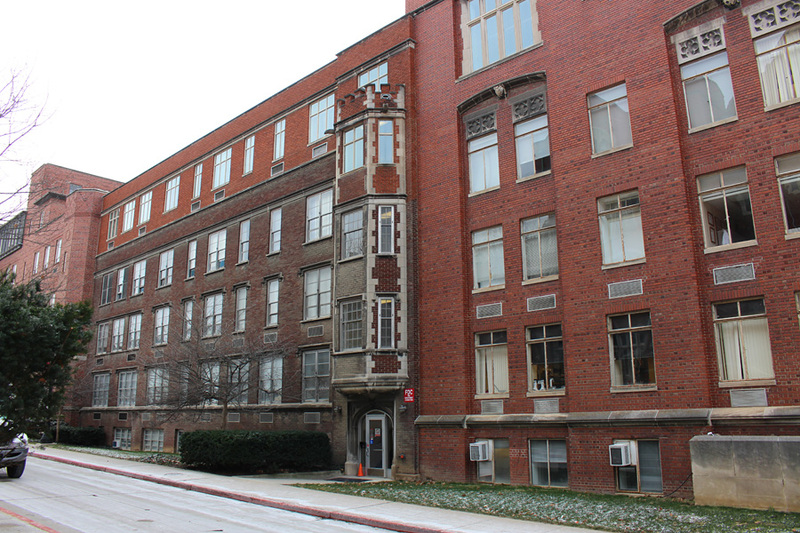 January 11, 2016- The original 1917 University Hospital building (brown brick) encased in the later 1925 University Hospital. Now Starling-Loving Hall. 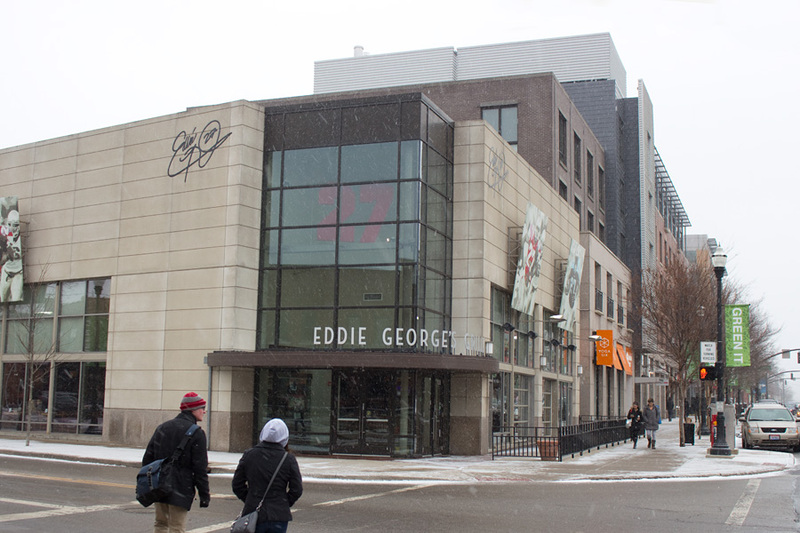 January 17, 2016- Word comes down that Eddie George's Grille 27, one of the original South Campus Gateway tenants, is leaving after 10 years. Eddie George's will be remembered for good food, very loud sports, and 2-way mirrors in the men's room that allowed guys to keep watching the game when nature called. 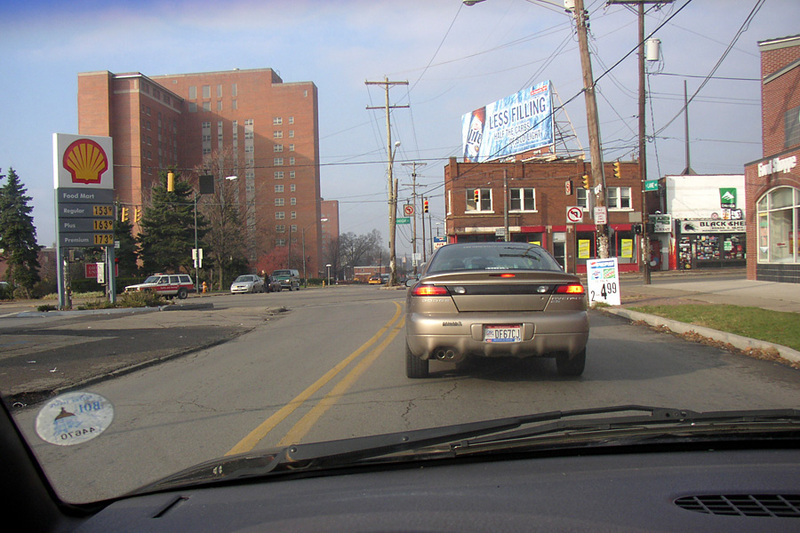 Intersection of Lane and N. High, 2003. Mighty different today. 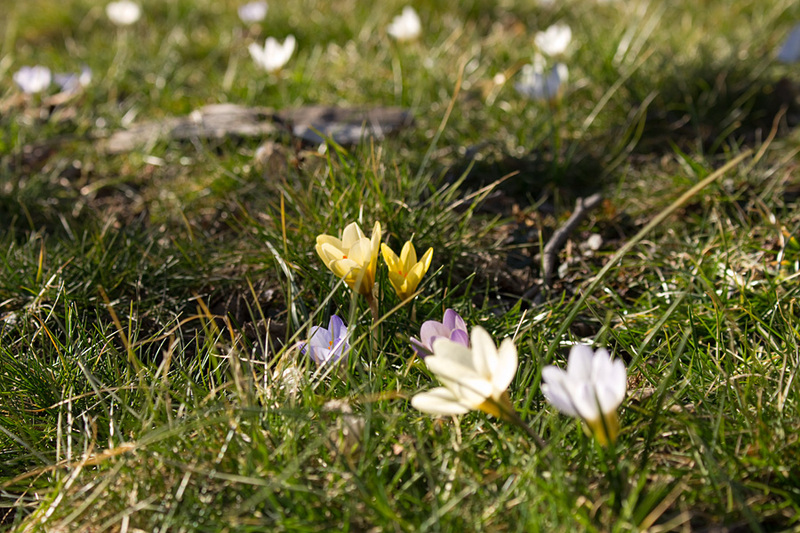 February 29, 2016- Crocuses blooming in our University District yard this February. It's been a mild winter. March 21, 2016- Another High St. institution departs. 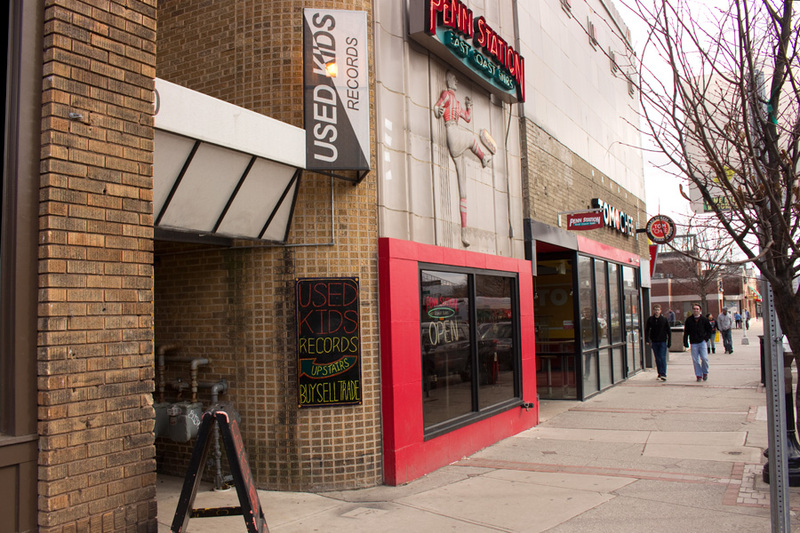 Word came last week that Used Kids Records, 1980 N. High, will be moving to the Summit St. at Hudson area. Used Kids has been around since 1986. It's been at the current address since 2001. The move will leave High St without a record store for the first time in 65 years. 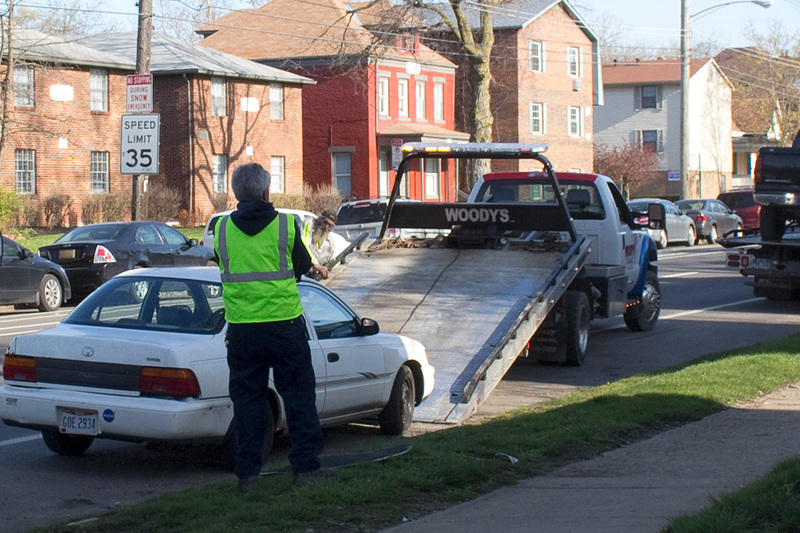 April 17, 2016- Spring means the resumption of monthly street sweeping in the University District neighborhoods and the resumption of mass towings. 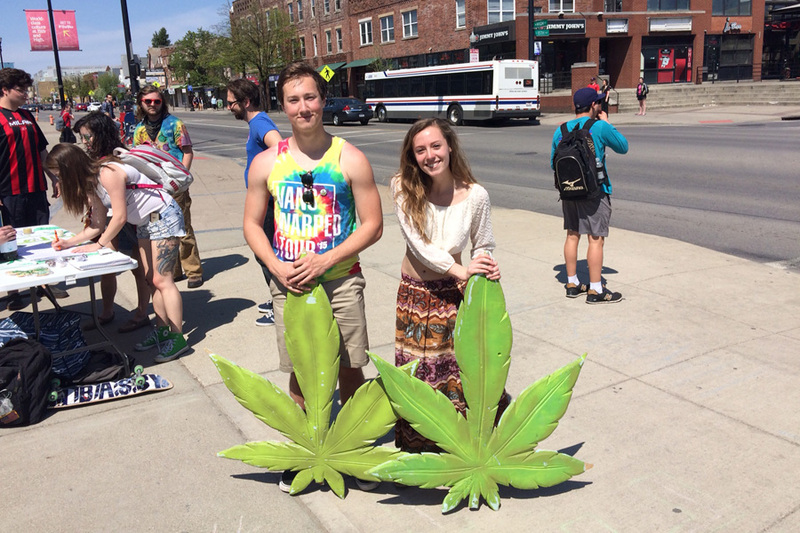 April 20, 2016- Legalization activists gather signatures for medical marijuana legalization at 15th and High on 4/20. April 25, 2016- High St. continues to changes at a rapid pace. 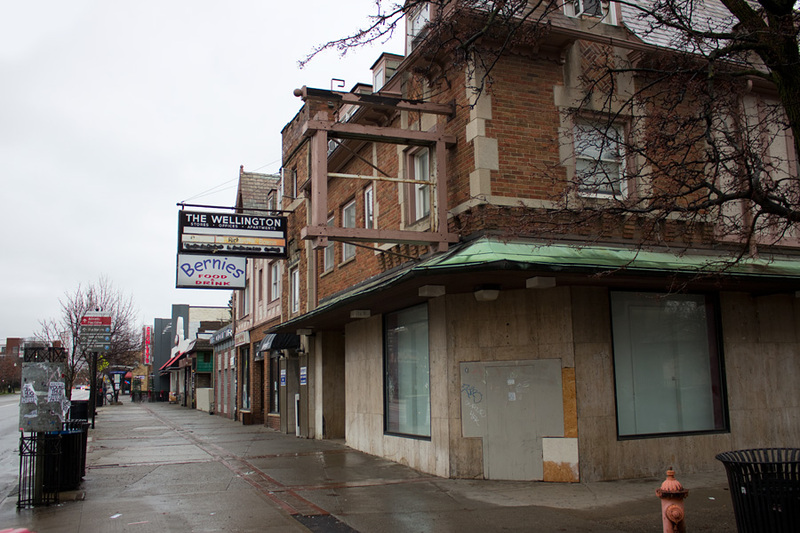 This week the suburban-style Taco Bell at 1525 N. High closed. 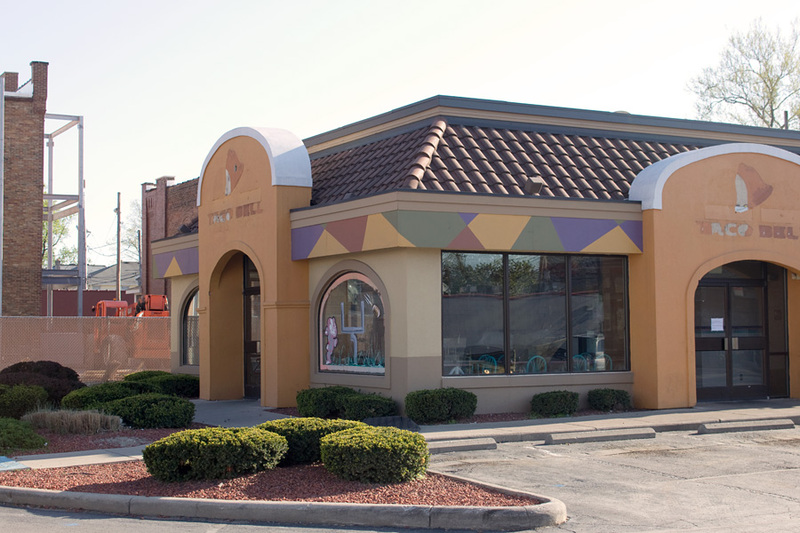 Taco Bell opened at that location in September 1994. Restaurant parking lot became a gathering place for motorcyclists on Friday and Saturday nights. Coming soon to this spot: another multi-story, blandly Postmodern apartment building with retail on the ground floor. May 2, 2016- Laundromat and dollar store on NE corner of 7th and N. High. Soon to be replaced by three, 6-story, blandly Postmodern apartment towers. Won't miss the suburban-style buildings or enormous unused parking lots. Welcome the higher density. But... Gentrification is death by a thousand cuts. 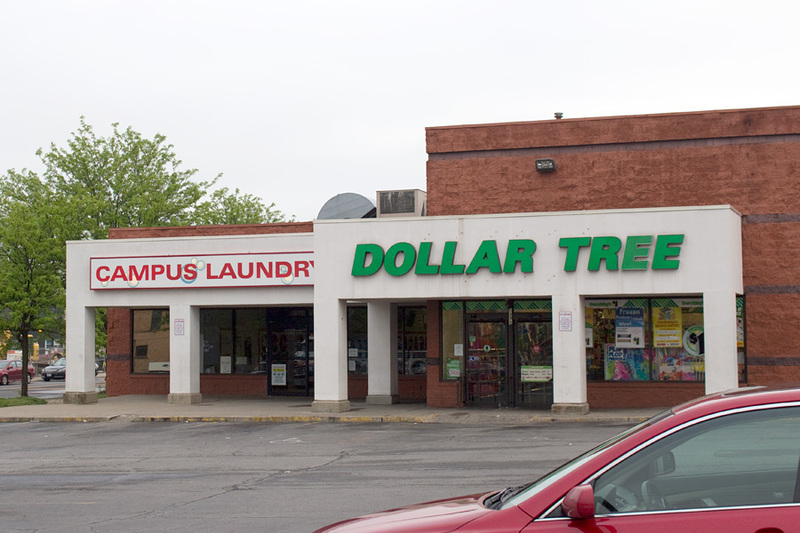 Loss of a dollar store and a laundromat is just one more thing making life harder for poor area residents.